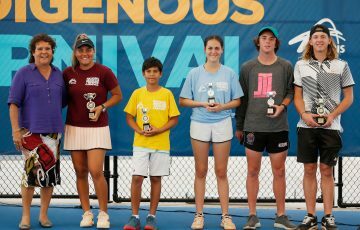 Australian results from the 2018 Oceania Championships in Samoa with the first ever all-Indigenous tennis team. 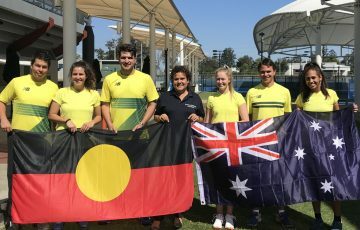 Australia’s Adam Lasky (Vic) and Harrison Lee-Schell (NT) were the stand out performers on the Australian Team that competed at the 2018 Oceania Championships in Samoa last week, with the pair claiming gold in the men’s doubles and Lasky adding a silver and a bronze to his tally in the men’s singles and mixed doubles respectively. 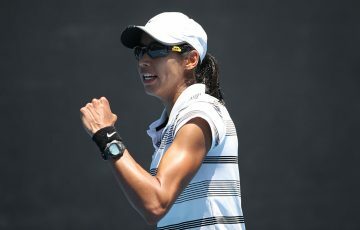 The Oceania Championships, which comprises both Team and individual events, were held in Apia, Samoa from Monday 3 September to Saturday 8 September with six Indigenous Australians taking to the court to represent Australia on the international stage; the first ever all-indigenous tennis team. 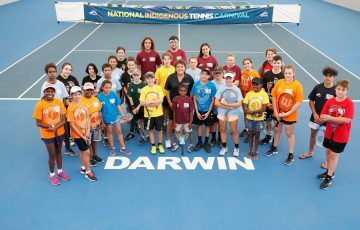 Natalie Roe (NT), Harrison Lee-Schell (NT), Anzac Leidig (NSW), Ella Merritt (NSW), Janaya Smith (Tas) and Adam Lasky (Vic) took on competitors from the Oceania region including Fiji, American Samoa, Cook Islands, Federated States of Micronesia, Guam, Kiribati, Norfolk Islands, New Caledonia, Northern Mariana Islands, Palau, Papua New Guinea, Samoa, Solomon Islands, Tahiti, Tonga, Tuvalu, Vanuatu and New Zealand. 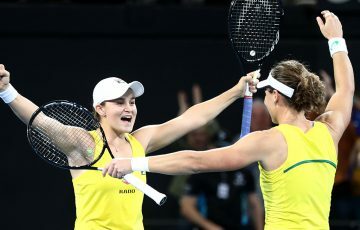 The men’s doubles saw Australia claim gold over New Zealand as Lasky and Lee-Schell combined to take a two set victory in the final with a score of 6-2 7-6. In the final of the men’s singles, Lasky was narrowly defeated by New Zealand’s Wesley Whitehouse, going down 7-5 7-5, to add a hard fought silver medal to his tally. Capping off his impressive meet, Lasky combined with fellow Australian Merritt (NSW) to take home the bronze in the mixed doubles in 2-4 4-2 5-3. 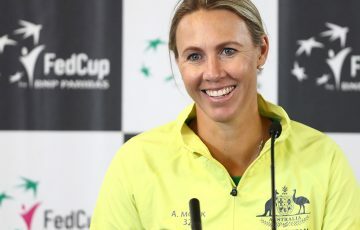 Following the competition Lasky said playing for Australia at the Oceania Championships was a career highlight. 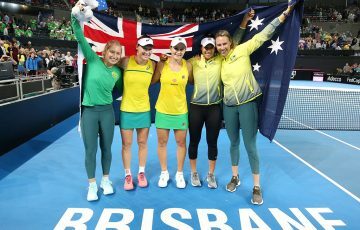 “The week away in Samoa playing for Australia was one of the best experiences I have had with tennis,” Lasky said. 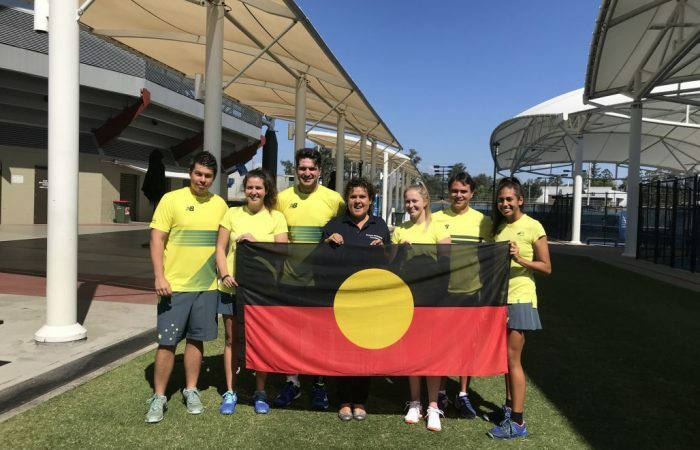 In the team competition, both the Australian men’s and women’s teams finished with the bronze after some tough semi-final match ups. The women’s team finished second in their pool, where they lost the semi-final to eventual winners Samoa, and then won the playoff against Cook Islands for third with Fiji in silver. While in the corresponding men’s team event, The Australian’s finished second in their pool, losing the semi-final to eventual winners, New Zealand and defeating New Caledonia to take third place overall with Tahiti in silver.